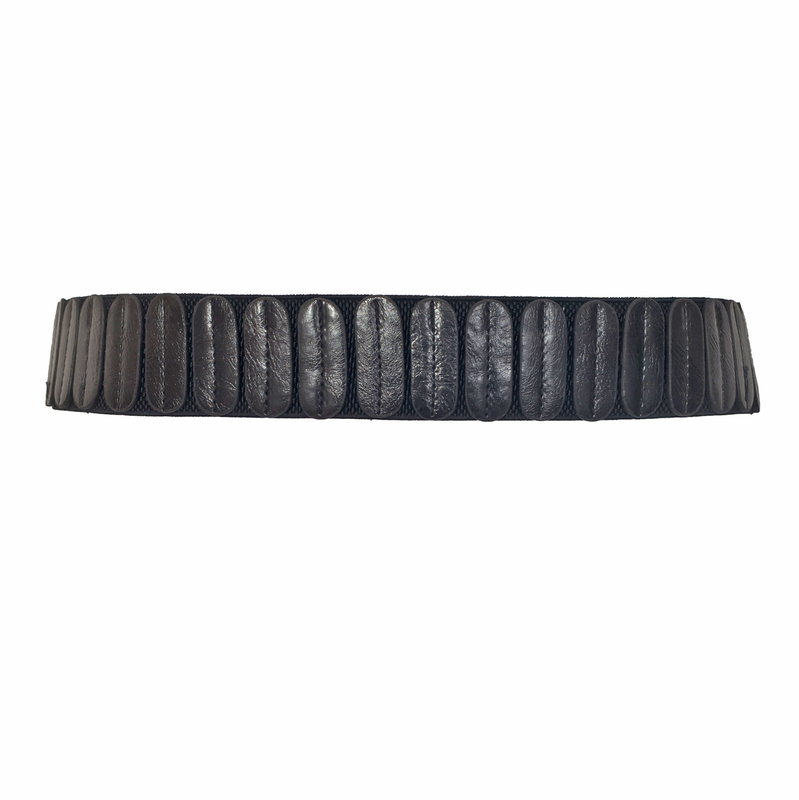 Plus size faux leather belt is a must have accessory for your wardrobe. 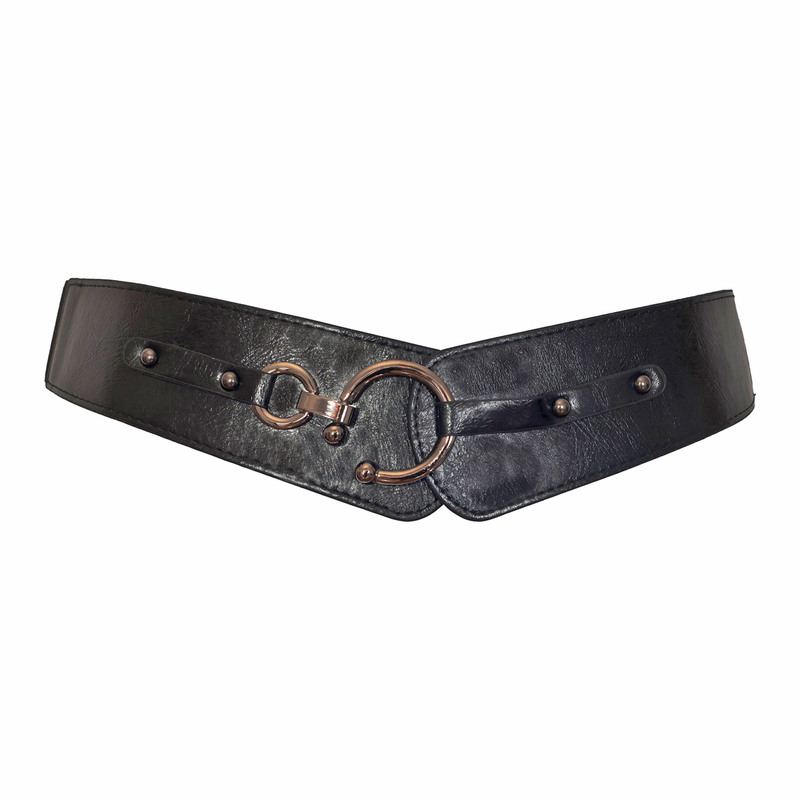 Plus size elastic belt features hook closure with large gun metal buckle. Faux leather front and elastic band covered in faux leather pieces in the back. This elastic belt will stretch to accommodate 34-44 inch waistline. 2 Inches wide. Man made materials.